These days, there are better budget offerings on the market than there ever used to be, and far more choice than there ever has been. With big name manufacturers like Motorola, Samsung, HTC and even Sony offering really affordable handsets all over the world, it’s hard to see how these things could get any cheaper. Well, that is until you say hello the JiaYu F1, a 4-inch device that’s been on sale in China for a little while now. As you might expect, this 4-incher isn’t up to much, but considering it can be had for just $74.99, it’s hard not to see the appeal of this little guy. The WCDMA version of the device has just gone up for sale at certain resellers, which means that international buyers can now purchase the JiaYu F1 and use it in their home country, provided it supports the required bands of course. So, for $75 what do you get? Well, not a lot really, the 4-inch display features an 800 x 480 display (remember those?) a dual-core Cortex A7 CPU clocked at 1.3 Ghz, 512MB of RAM, 4GB of internal storage with support for microSD cards and a 5-megapixel rear-facing camera backed up with a 0.3-megapixel front-facing camera. All of this is running on something called “Ali Cloud OS” which we assume is some sort of skinned version of Android 4.1 (or thereabouts). So, there’s not much going for the JiaYu on the face of it, but this thing does cost just $75. Running a MediaTek MT6572, the F1 supports GSM bands 850, 900, 1800, 1900 MHz and WCDMA bands 900 and 2100 MHz. While not the most featured GSM device out there, it is crazily cheap, and more than good enough for a backup phone. Certainly more useful than that Motorola flip phone you keep in that draw for the same purpose. If something like this interests you, then you can go ahead and take a look at the source link to get yours. The post Moto G Too Expensive? How About a $75 Smartphone? 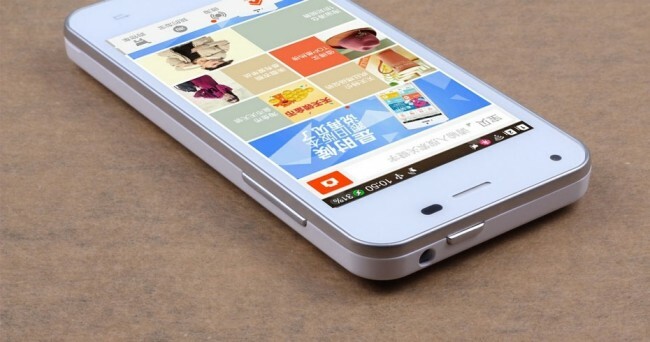 Meet the JiaYu F1 appeared first on AndroidHeadlines.com |.